As promised here is the first in my series of spin off’s from the big blogger expo and what better way to start than with one of my true loves…. Food! 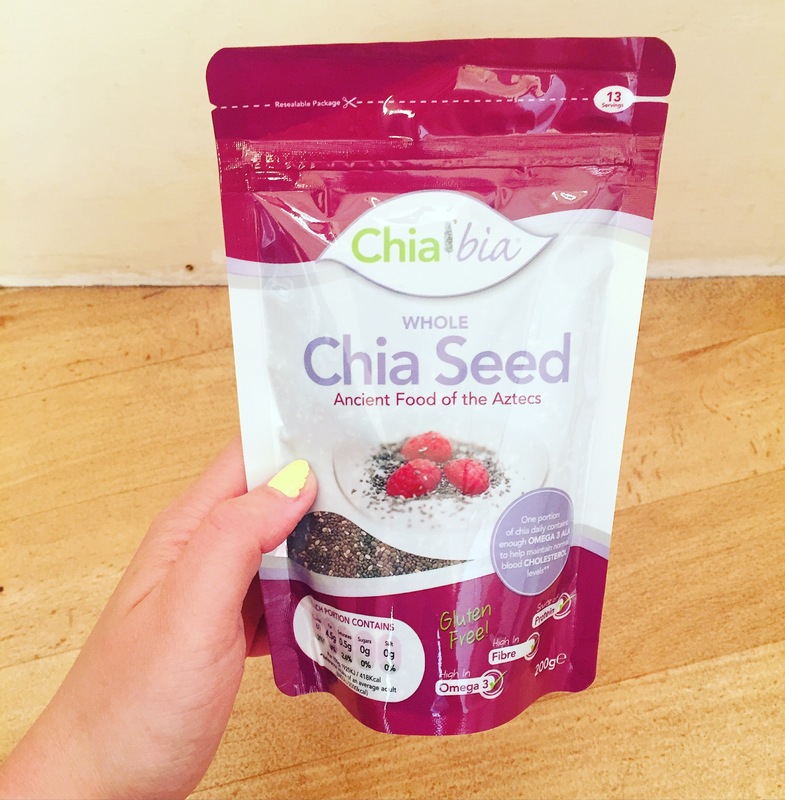 Ok so first up is ChiaBia a company started by Barrie Rogers and Ray Owens, their main aim – bringing affordable Chia to Europe. Why? Because it’s amazing! You may have heard chia seeds described as a super food and Barrie discovered first hand that this was the case when they aided his recovery from a back injury with their anti inflammatory properties.  You can research these benefits and more yourself but you get the gist…. They’re bloody awesome! Chia Bia kindly gifted a packet of their seeds and a bar. Now I’m no stranger to chia and usually incorporate the seeds into my overnight oats for breakfast! They give it an interesting texture and a little crunch but have no real taste – just tons of goodness. 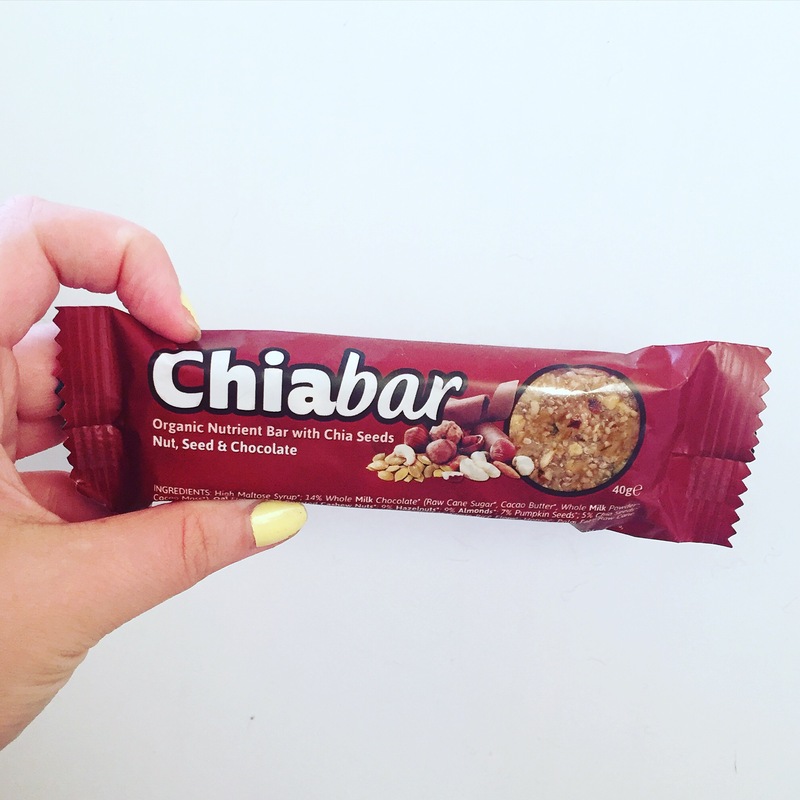 The chia bar I had never tried before but it was so good! 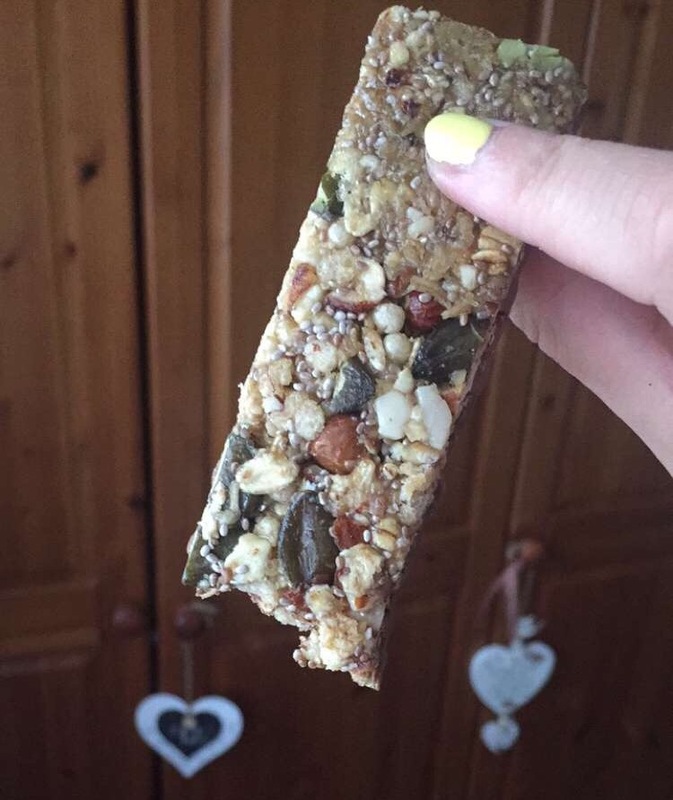 It’s a perfect on the go snack to curb those cravings! It’s not totally healthy but it’s a great alternative to that kit Kat or twix! It’s also super textured which I love! I’m deffo a texture girl, I’m more likely not to like something for that rather than taste. No taste is over powering either so it should be pretty palatable to everyone. 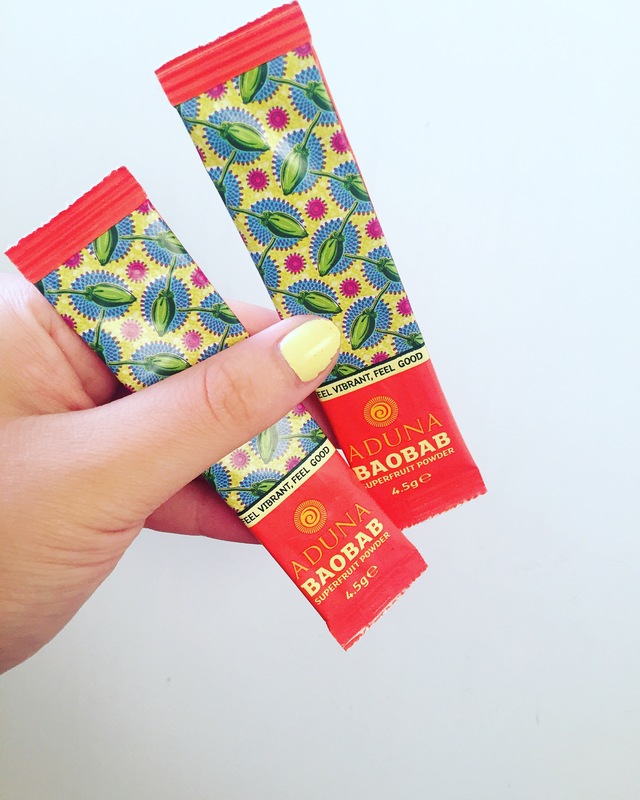 Aduna treated us to some of their baobab powder. Baobab is another superfood – it is a 100% natural and organic African fruit. Again, like the chia seeds I added this to my overnight oats. It gave my breakfast a subtle citrus flavour…. Perfect for people who aren’t keen on adding whole pieces of fruit to their oats but wanting to reap the benefits! Not only this but the company itself have a fantastic mission! Their aim is to create sustainable livelihoods in rural Africa. So you aren’t just getting fab nutrients into your body, you are also helping communities in need! What’s not to love? Ok this was by far my favourite food item that I received! 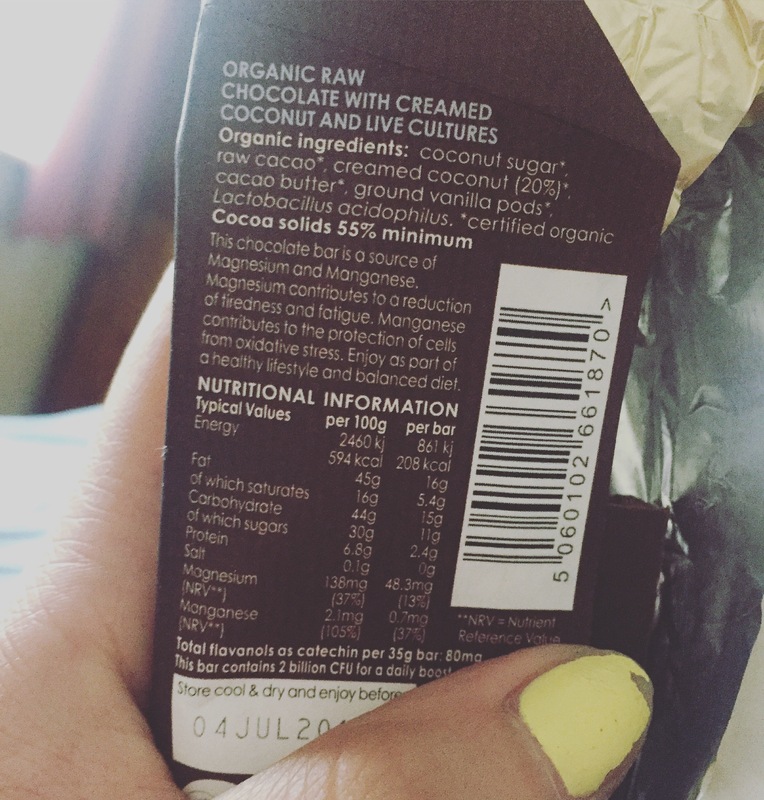 I’m not the biggest chocolate fan in the world and I’m not a great lover of dark chocolate as its way too bitter for my liking but after reading about the benefits of cacao, I started to introduce it into my diet. I currently add cacao to my overnight oats and occasionally make energy balls with it too. Yep, it tastes like chocolate BUT it’s so good for you! It’s like a dream come true. I don’t find it to be as bitter as dark chocolate but it’s not quite as milky and dreamy as dairy milk. 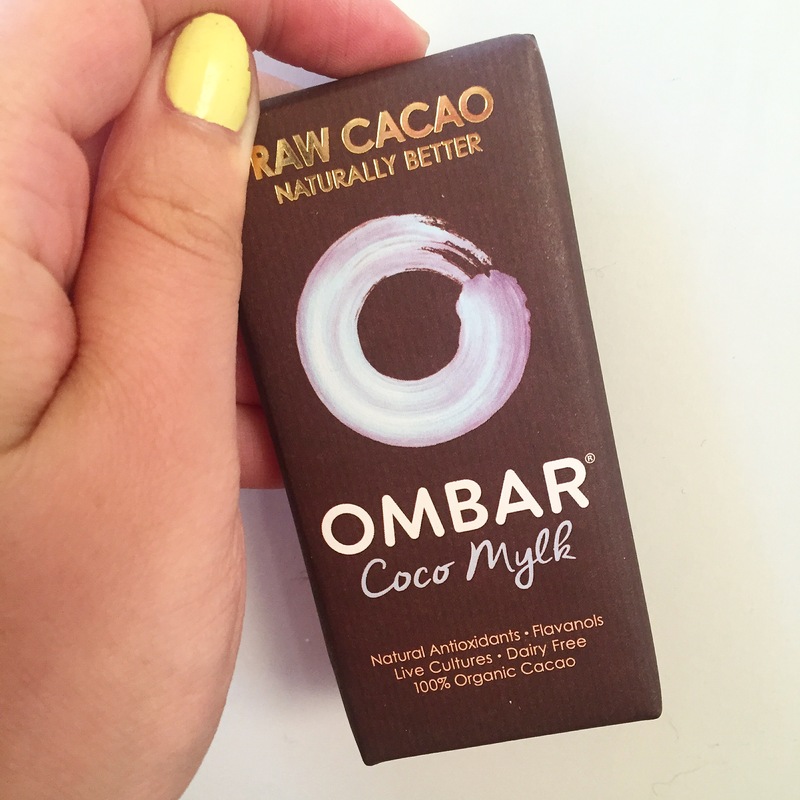 Then Ombar came along with its “coco mylk” bar and OH MY LIFE it’s delicious! So creamy and like velvet on your tongue. BUT it’s totally dairy free which is great if you’re lactose intolerant, vegan or if you’re like me, cutting down to help with skin issues. Now it’s not every day that you’re gifted two dark chocolate gingers! No!? Too dad joke?? You’re right lets pretend that never happened! I’ve actually only recently got into ginger and usually have it in the form of herbal tea (or ginger beer with my rum). 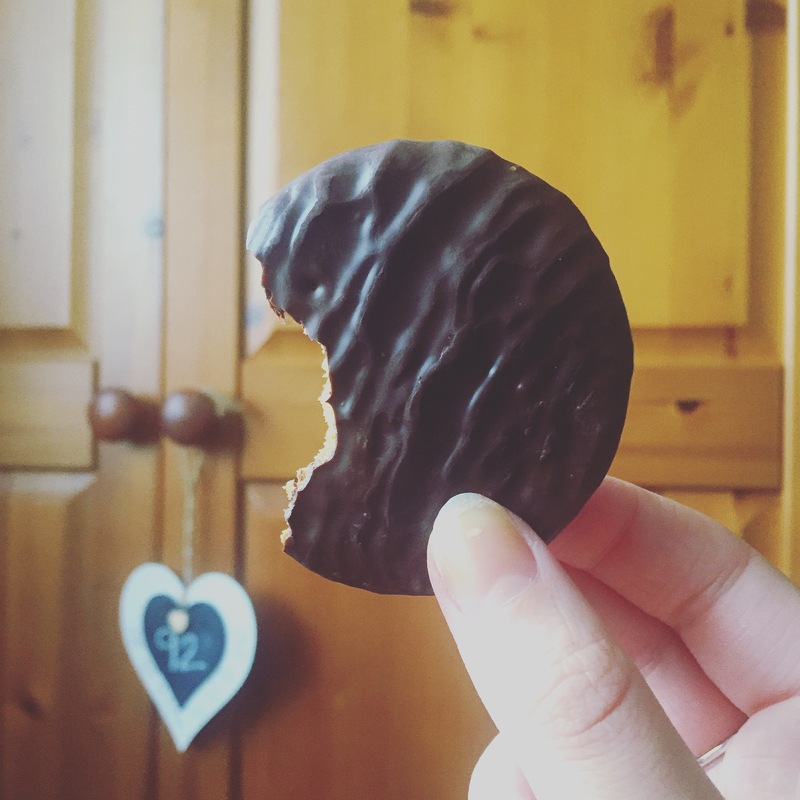 I was actually pleasantly surprised to note that I really enjoyed these biscuits, especially as they were dark chocolate but the tastes paired nicely! 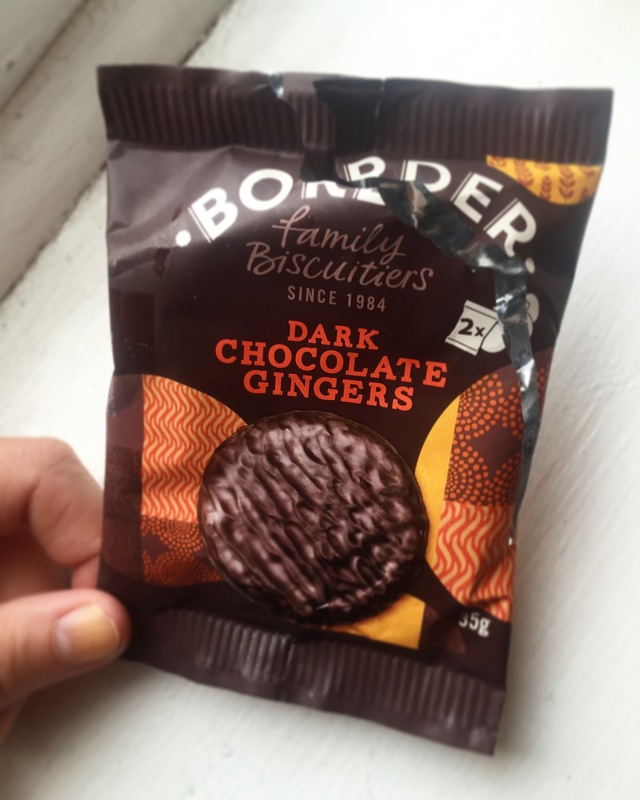 This may not be as healthy as the other items mentioned but if you’re after a decadent little treat and you’re a ginger fan, then this my friend might just be for you, with its fiery kick and it’s delectable crunch. It’s probably the naughtiest thing I’ve eaten for some time now which probably goes towards why I enjoyed it so much! 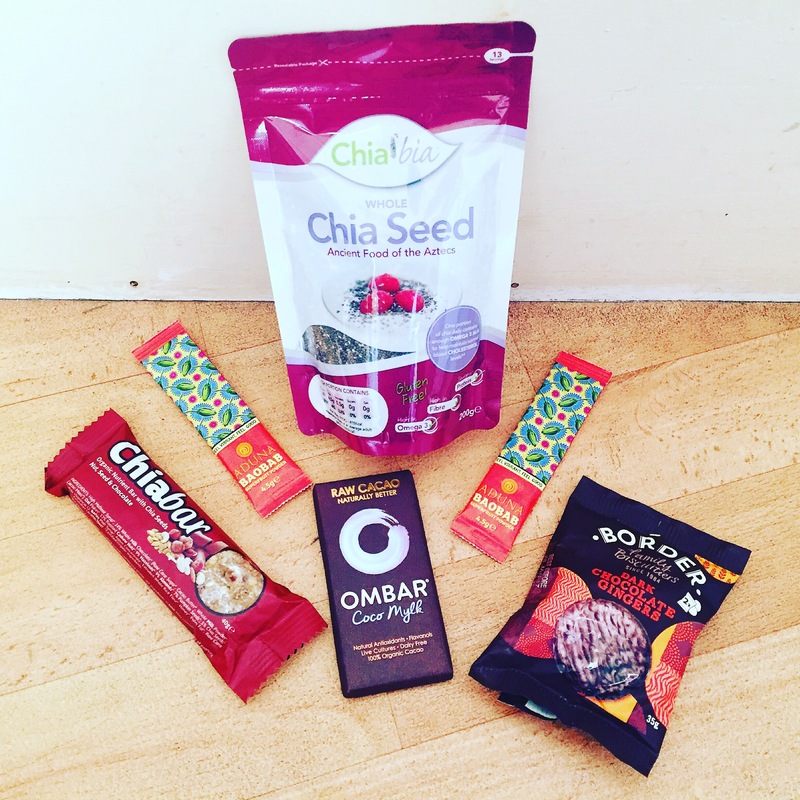 Let me know if you try any of these yummy treats or if they are already a personal fave’s of yours! PS I wrote this post a while ago so my 17 days without cheddar is now about 10 mins BUT I did go for a whole 4 months without any so yeah there’s that. I’m also eating cake as I edit this … don’t judge!